The Yellingbo Conservation Area (YCA) is being established to assist in the conservation of the area’s significant biodiversity and ecological values, a number of threatened species including the critically endangered Helmeted Honeyeater and the Lowland Leadbeater’s Possum. The Conservation Area will help to safeguard critically endangered species through improving core habitat and targeted restoration projects. The last wild population of Helmeted Honeyeater (Lichenostomus melanops cassidix) and Lowland Leadbeater’s Possum (Gymnobelideus leadbeateri) occur in one small conservation reserve at Yellingbo. The key reason for this decline is deterioration in habitat quality. Given the high likelihood of these genetically important populations becoming extinct in the wild over the coming 10 years, both species have been prioritized by Zoos Victoria for captive-breeding and release. Given their tendency to occupy the same environment, conservation investment for one population invariably benefits the other. (Zoos Victoria, 2014, p. 15). 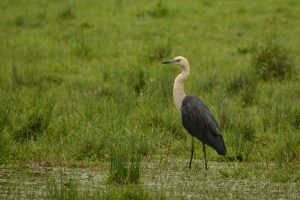 In 2012 the Victorian Environmental Assessment Council (VEAC) compiled a list of threatened fauna species recorded in the Yellingbo Investigation Area (VEAC, 2012, pp. 76-77). Some of the most endangered species are listed below. State Emblem: The Helmeted Honeyeater was proclaimed as the Victorian Government’s Bird Emblem on March 10th, 1971. Concern for the survival status of the Helmeted Honeyeater has been a constant focus since 1952 when the first survey of this bird species was undertaken. 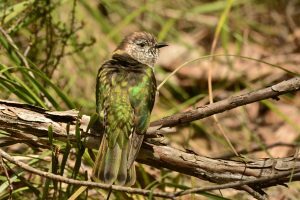 The Ash Wednesday fires of 1983 had a devastating effect on small isolated populations of the Helmeted Honeyeater in the Upper Beaconsfield and Gembrook areas, and the last remaining wild population of this species became isolated in the Yellingbo area. The Helmeted Honeyeaters are currently confined to less than 80 ha of riparian and floodplain forest along two separate creeks (Garnett et al., 2018, p.229). The Helmeted Honeyeater Recovery Program successfully integrates the collaborative effort of multiple partners – including the Department of Environment, Land, Water and Planning (DELWP), Zoos Victoria, Friends of the Helmeted Honeyeater, Parks Victoria, Port Phillip and Westernport Catchment Management Authority (PPWCMA), Melbourne Water, Birdlife Australia, the former Yellingbo Conservation Area Coordinating Committee (YCACC), Yarra Ranges Council, and Monash University – to help bring this unique bird back from the brink of extinction. 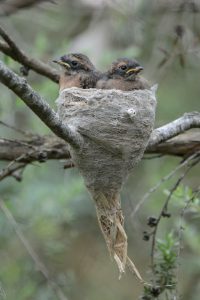 Check out the photo gallery on the Friends of the Helmeted Honeyeater website here. State Emblem: The Leadbeater’s Possum was proclaimed as the Victorian Government’s Animal Emblem on March 2nd, 1971. In 1965 the Yellingbo Nature Conservation Reserve was set aside to conserve the Helmeted Honeyeater. During a bird survey in 1986 Leadbeater’s Possums (LBP) were discovered inhabiting the same lowland swamp forest that provides habitat for Helmeted Honeyeaters in the YNCR. In 2003 Birgita Hansen commenced a PhD into LBP’s genetics (including approx 200 samples from Yellingbo ). Research results in 2008 determined that the important extant wild population of the Leadbeater’s possum discovered in atypical habitat (lowland swamp) at Yellingbo ‘does not share recent ancestry with other extant populations and instead may be a remnant of an otherwise extinct gene pool. Importantly, this may include genes involved in adaptation to a lowland swamp environment, substantially adding to the conservation importance of this population, and suggesting that separate management may be prudent until evidence suggests otherwise.’ (Hensen & Taylor, 2008). Habitat restoration in the Yellingbo Conservation Area (YCA) is an essential component of the recovery program and Department of Environment, Land, Water and Planning (DELWP), Zoos Victoria, Friends of the Helmeted Honeyeater, Friends of the Leadbeater’s Possum, Parks Victoria, Port Phillip and Westernport Catchment Management Authority (PPWCMA), Melbourne Water, the former Yellingbo Conservation Area Coordinating Committee (YCACC), Yarra Ranges Council, and others are assisting with habitat recovery projects e.g. 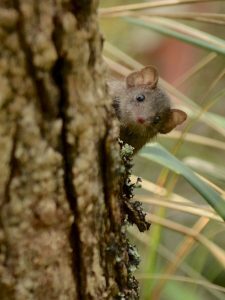 hydrology and revegetation projects – to help bring this tiny marsupial back from the brink of extinction. In 2012 the Victorian Investigation Assessment Council compiled a list of threatened fauna species recorded in the Yellingbo Investigation Area (VEAC, 2012, pp. 76-77). Some are listed below. Sherbrooke Amphipod (Austrogammarus haasei) – see Flora and Fauna Guarantee Act 1988 Action Statement No. 110 and case study. For other wildlife you may see in the YCA check out the Friends of the Helmeted Honeyeater website here. Spotted fauna in YCA? VBA Go is the new mobile tool that links directly to the Victorian Biodiversity Atlas. We need your wildlife sightings. Can you help make a difference? Find out more about VBA Go on our Biodiversity & Conservation page. Environment Protection and Biodiversity Conservation Act 1999 (EPBC Act) (Cth) (Austl). Retrieved from https://www.legislation.gov.au/Series/C2004A00485. Environment Protection and Biodiversity Conservation Regulations 2000 (Cth) (Austl). Retrieved from https://www.legislation.gov.au/Series/C2004A00485. Wildlife Act 1975 (Vic) (Austl). Retrieved from http://www.legislation.vic.gov.au/Domino/Web_Notes/LDMS/LTObject_Store/LTObjSt4.nsf/DDE300B846EED9C7CA257616000A3571/85925CC790ACABB8CA257761002DA8F2/$FILE/75-8699a076.pdf. Australian Government. (2015). Leadbeater's Possum Action Plan. Canberra: Australian Government. Retrieved from http://www.environment.gov.au/system/files/resources/721c9646-18be-402e-a2bd-3a9ac06547d4/files/leadbeaters-possum-action-plan.pdf. Department of Environment, Land, Water and Planning (DELWP). (2014). Flora and Fauna Guarantee Act 1988 Action Statement No. 62: Leadbeater’s Possum (Gymnobelideus leadbeateri). Melbourne: State Government of Victoria. Retrieved from https://www.environment.vic.gov.au/__data/assets/pdf_file/0009/33003/Leadbeaters_Possum_Gymnobelideus_leadbeateri.pdf. Department of Environment, Land, Water and Planning (DELWP). (2015). Flora and Fauna Guarantee Act 1988 Action Statement No. 257: Australian Grayling (Prototroctes maraena). Melbourne: State Government of Victoria. Retrieved from https://www.environment.vic.gov.au/__data/assets/pdf_file/0012/33024/Australian-Grayling_action-statement.pdf. Department of Environment, Land, Water and Planning (DELWP). (2015). Flora and Fauna Guarantee Act 1988 Action Statement No. 258: Dwarf Galaxias (Galaxiella pusilla). Melbourne: State Government of Victoria. Retrieved from https://www.environment.vic.gov.au/__data/assets/pdf_file/0009/33030/Dwarf-Galaxias_action-statement.pdf. Department of Environment, Land, Water and Planning (DELWP). (2015). Flora and Fauna Guarantee Act 1988 Action Statement No. 264: Dandenong Burrowing Crayfish (Engaeus urostrictus). Melbourne: State Government of Victoria. Retrieved from https://www.environment.vic.gov.au/__data/assets/pdf_file/0022/33079/Dandenong-Burrowing-Crayfish-Engaeus-urostrictus.pdf. Department of Environment, Land, Water and Planning (DELWP). (2017). Review of the Flora and Fauna Guarantee Act 1988 - Consultation Paper. Melbourne: State Government of Victoria. Retrieved from https://engage.vic.gov.au/application/files/9314/8583/3454/DELWP0052_FFG_Act_Review_Consultation_Paper_v9accessible.pdf. Department of Environment, Land, Water and Planning (DELWP). (2017, 6 December). 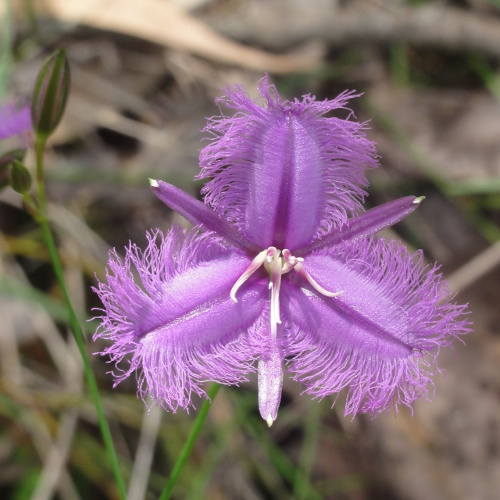 Victorian Biodiversity Atlas, Species Summary List - Warramate area. Melbourne: State Government of Victoria. Department of Environment, Land, Water and Planning (DELWP). (2017, 6 December). 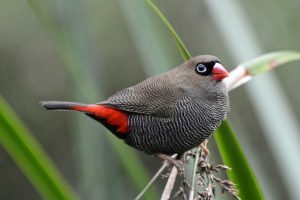 Victorian Biodiversity Atlas, Species Summary List - Warramate bird data. Melbourne: State Government of Victoria. Department of Environment, Land, Water and Planning (DELWP). (2018, April). Flora and Fauna Guarantee Act 1988 Threatened List: Characteristics of Threatened Communities. Melbourne: State Government of Victoria. Retrieved from https://www.environment.vic.gov.au/__data/assets/pdf_file/0018/50418/Flora-and-Fauna-Guarantee-Characteristics-of-Threatened-Communities-.pdf. Department of Environment, Land, Water and Planning (DELWP). (2018, April). Flora and Fauna Guarantee Act 1988 Threatened List: Taxa and Communities of Flora and Fauna which are Threatened. Melbourne: State Government of Victoria. Retrieved from https://www.environment.vic.gov.au/__data/assets/pdf_file/0024/115827/FFG-Threatened-List.doc.pdf. Department of Sustainability and Environment (DSE). (1992, 2003). Flora and Fauna Guarantee Act 1988 Action Statement No. 8: Helmeted Honeyeater (Lichenostomus melanops cassidix). Melbourne: State Government of Victoria. Retrieved from https://www.environment.vic.gov.au/__data/assets/pdf_file/0027/32868/Helmeted_Honeyeater_Lichenostomus_melanops-cassidix.pdf. Department of Sustainability and Environment (DSE). (1999, 2004). Flora and Fauna Guarantee Act 1988 Action Statement No. 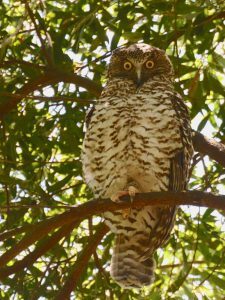 92: Powerful Owl (Ninox strenua). Melbourne: State Government of Victoria. 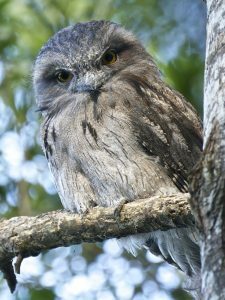 Retrieved from https://www.environment.vic.gov.au/__data/assets/pdf_file/0023/32882/Powerful_Owl_Ninox_strenua.pdf. Department of Sustainability and Environment (DSE). (2000, 2004). Flora and Fauna Guarantee Act 1988 Action Statement No. 110: Sherbrooke Amphipod (Austrogammarus haasei). Melbourne: State Government of Victoria. Retrieved from https://www.environment.vic.gov.au/__data/assets/pdf_file/0019/32527/Sherbrooke_Amphipod_Austrogammarus_haasei.pdf. Department of Sustainability and Environment (DSE). (2000, revised). Flora and Fauna Guarantee Act 1988 Action Statement No. 3: Dandenong Freshwater Amphipod (Austrogammarus australis). Melbourne: State Government of Victoria. Retrieved from https://www.environment.vic.gov.au/__data/assets/pdf_file/0011/32510/Dandenong_Freshwater_Amphipod-Austrogammarus_australis.pdf. Department of Sustainability and Environment (DSE). (2001, 2003). Flora and Fauna Guarantee Act 1988 Action Statement No. 130: Sedge-rich Eucalyptus camphora Swamp. Melbourne: State Government of Victoria. Retrieved from https://www.environment.vic.gov.au/__data/assets/pdf_file/0021/32466/Sedge-rich_Eucalyptus_camphora_swamp.pdf. Department of Sustainability and Environment (DSE). (2009). Advisory List of Threatened Invertebrate Fauna in Victoria - 2009. Melbourne: State Government of Victoria. Retrieved from https://www.environment.vic.gov.au/__data/assets/pdf_file/0016/50452/Advisory_List_of_Threatened_Invertebrate_Fauna_2009_FINAL_Sept_2009.pdf. Department of Sustainability and Environment (DSE). (2013). Advisory List of Threatened Vertebrate Fauna in Victoria. Melbourne: State Government of Victoria. Retrieved from https://www.environment.vic.gov.au/__data/assets/pdf_file/0014/50450/Advisory-List-of-Threatened-Vertebrate-Fauna_FINAL-2013.pdf. Department of the Environment. (2016, February). Draft National Recovery Plan for Leadbeater’s possum (Gymnobelideus leadbeateri). Canberra: Australian Government. Retrieved from https://www.environment.gov.au/system/files/resources/6e2618ee-b799-4505-ac96-b3b3e0eb99c4/files/draft-national-recovery-plan-leadbeaters-possum.docx. Department of the Environment and Energy. (2008). Helmeted Honeyeater Lichenostomus melanops cassidix. Case studies for the Assessment of Australia's Terrestrial Biodiversity 2008 (pp. 1 - 10). Canberra: Australian Government. Department of the Environment and Energy. (accessed 2018). Listed Threatened Species and Ecological Communities [webpage]. Canberra: Australian Government Retrieved from http://www.environment.gov.au/epbc/what-is-protected/threatened-species-ecological-communities. Department of the Environment and Energy (DEE). (2018). Australian Faunal Directory [webpage]. Canberra: Australian Government. Retrieved from https://biodiversity.org.au/afd/home. Department of the Environment and Energy (DEE). (2018). Species Profile and Threats Database: EPBC Act List of Threatened Fauna [webpage]. Canberra: Australian Government Retrieved from http://www.environment.gov.au/cgi-bin/sprat/public/publicthreatenedlist.pl. 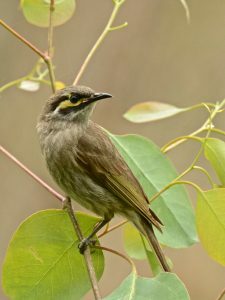 Friends of the Helmeted Honeyeater [website] https://www.helmetedhoneyeater.org.au/. Friends of the Leadbeater's Possum [website] https://www.leadbeaters.org.au/. Leadbeater’s Possum Advisory Group. (2014, January). Technical Report. Retrieved from https://www.wildlife.vic.gov.au/__data/assets/pdf_file/0024/46446/Leadbeaters-Possum-Advisory-Group-Technical-Report.pdf. Levens, L. (2002). Birds of Cardinia: A Field Guide. Tynong North, Vic: Cardinia Environment Coalition. Levens, L. (2007). No Legs or Many: Spineless and Wild. Upper Beaconsfield, Vic: Upper Beaconsfield Conservation Group with Cardinia Shire. Macfarlane, M., Smith, J., & Lowe, K. (1997). Leadbeater's Possum Recovery Plan. . Melbourne: Flora and Fauna Program, Department of Natural Resources and Environment, State Government of Victoria. Retrieved from http://www.environment.gov.au/system/files/resources/32bd48e9-293f-4757-bd02-1b174bddc467/files/leadbeaters-possum.pdf. 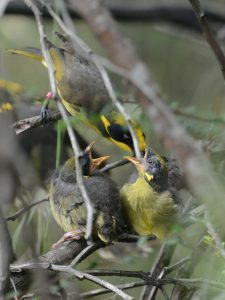 Menkhorst, P., & Helmeted Honeyeater Recovery Team. (2008). National Recovery Plan for the Helmeted Honeyeater (Lichenostomus melanops cassidix). Melbourne: Department of Sustainability and Environment (DSE), State Government of Victoria. Retrieved from https://www.environment.gov.au/system/files/resources/4086b497-6f75-4ec5-8fe9-d40d2c3aba5d/files/lichenostomus-melanops-cassidix.pdf. National Environmental Science Programme. (accessed 2018). Threatened Species Recovery Hub: Science for Saving Species [website]. Retrieved from http://www.nespthreatenedspecies.edu.au/. Rossi, E. (2018, November 7). Drugs in bugs: 69 pharmaceuticals found in invertebrates living in Melbourne’s streams. Online: The Conversation. Retrieved from https://theconversation.com/drugs-in-bugs-69-pharmaceuticals-found-in-invertebrates-living-in-melbournes-streams-106331. Victorian Environmental Assessment Council (VEAC). (2012, December). Yellingbo Investigation Draft Proposals Paper: For public comment. East Melbourne: VEAC. Retrieved from http://www.veac.vic.gov.au/documents/Yellingbo%20DPP_web.pdf. Zoos Victoria. (2014). Wildlife Conservation Master Plan 2014 - 2019. Parkville: Zoos Victoria. Retrieved from https://www.zoo.org.au/sites/default/files/ZVConsPlan14-19_FA.pdf.